This is my first recipe for #appleweek! I am super excited for all of the great recipes and giveaways! The sponsors are amazing and wait until you see the giveaways! They are amazing! 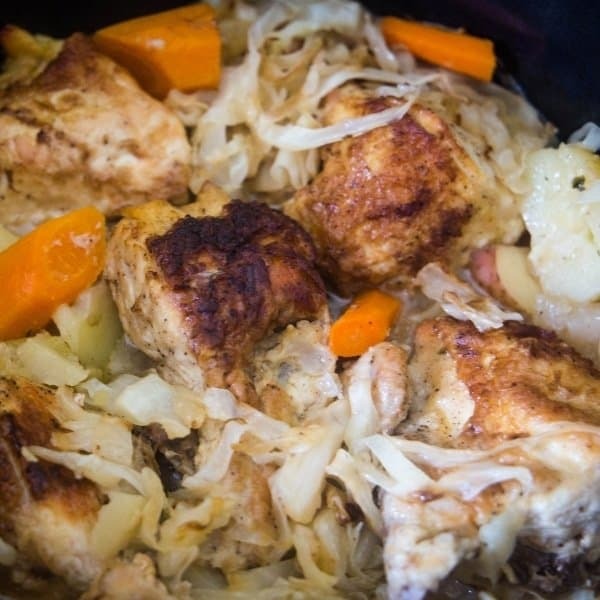 I hope you enjoy this hearty cider braised chicken and cabbage recipe that is a big bowl of comfort and deliciousness! Those of you who are regulars here know I love an easy recipe! I also love a great chicken recipe filled with veggies! This is it my friends! 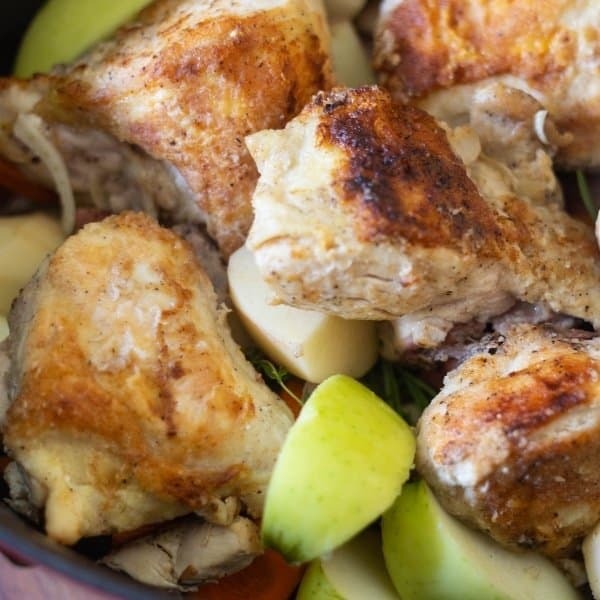 I use chicken breasts, cabbage and a few of my favorite fall veggies and apples. They braise together in a fantastic broth of hard cider and herbs. I use an Irish cider because, well come on now, it’s delicious so of course, I use it on my braised chicken. When I signed up to participate in Apple Week, I started thinking about what recipes I wanted to develop. Then, when I saw our sponsors and received the most amazing oval casserole from Swiss Diamond, BINGO, I knew chicken and cabbage was to be braised in that amazing casserole dish. The Swiss Diamond Casserole is versatile so I can brown the chicken on the stove. After browning the chicken, the entire pot with all the fixings can go right into the oven, easy peasy! 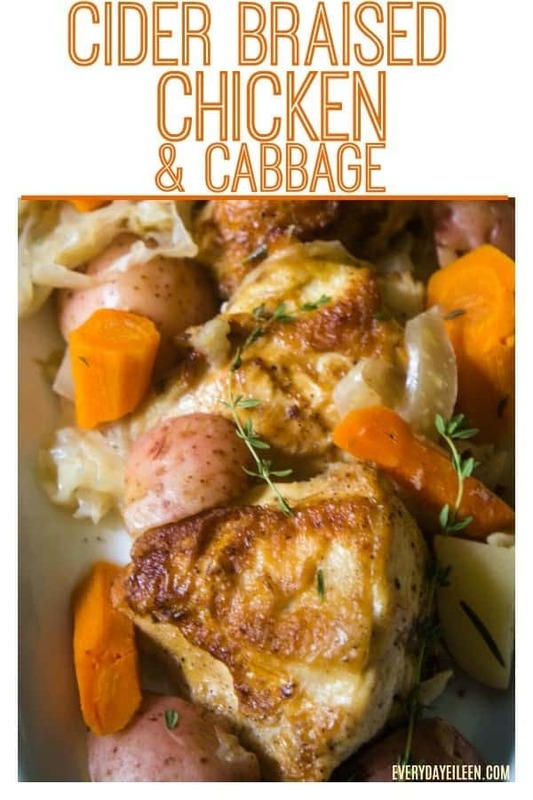 I am so happy with this tasty Cider Braised Chicken and Cabbage recipe and I hope you love it too! The family and I have had this quite a few times and of so have our extended family! The chicken and cabbage recipe can be made the night before and reheated when you are ready to eat! This braised chicken is one of those recipes that works great for any night of the week and is an awesome crowd pleaser recipe. Great for family gatherings and pot-luck dinners. Easily make ahead and reheat when the crowd arrives. I know we aren’t even at Halloween but I am definitely serving this during Saint Patrick’s Day too! I know, too soon for you, but food blogger, we have to think ahead, always! What does it mean to “braise” chicken? Braising generally means a combination of dry cooking or searing and also wet cooking, as in a broth. I sear the chicken at a high temperature and finish cooking in the oven at a lower temperature. 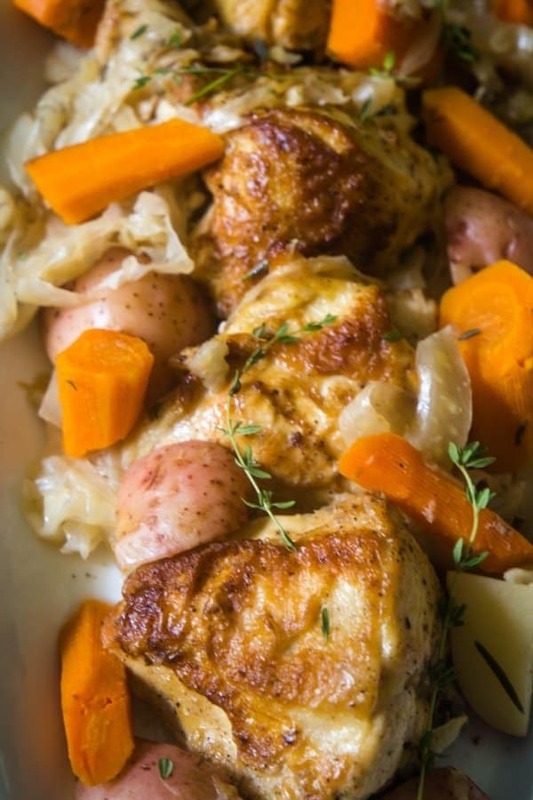 What oven temperature is generally used to make braised chicken and cabbage? I generally braise the chicken at a temperature between 275 and 325 degrees. It depends on the recipe. What should the internal temperature of the braised chicken be when they are cooked? Use a meat thermometer and the internal temperature of the chicken should be 165 degrees. Is cabbage a healthy vegetable? cabbage contains sulforaphane, which is a cancer-fighting compound. 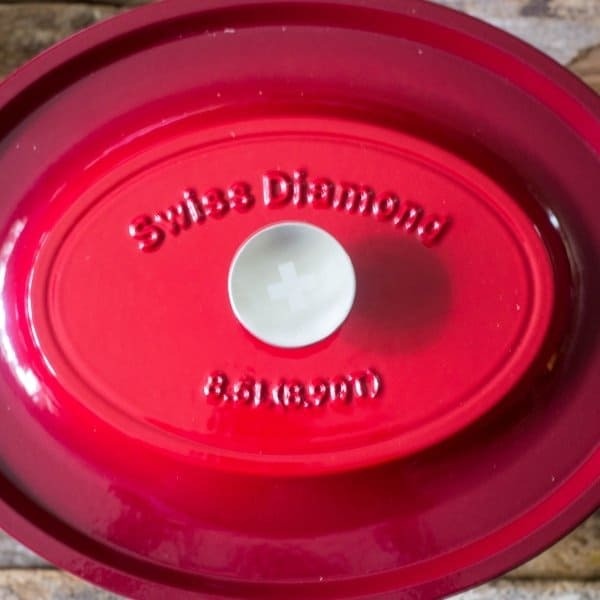 Available in select stores only, Swiss Diamond’s XD 10 piece set features Swiss Diamond’s newest, most advanced diamond-reinforced nonstick coating. The new coating formulation contains 20% more real diamond crystals than the HD coating and was developed in Switzerland. The result is a significantly tougher cooking surface, 40% more durable with 40% better food release properties as compared to the Classic HD nonstick cookware. 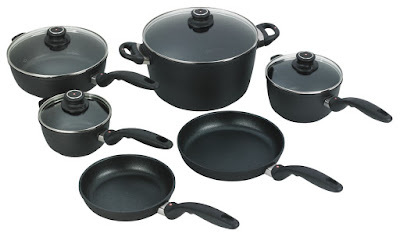 They are ideal for healthy cooking without oil and feature quick, easy clean-up with hot soapy water. They are PFOA-free and produced in an eco-friendly manner. 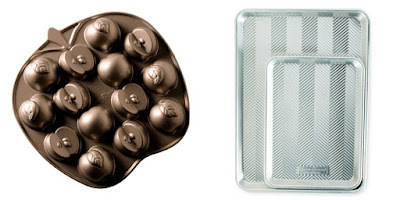 The tempered glass lids have adjustable steam vents and the ergonomic handles and knobs are oven safe up to 500 F.
vanilla extract, gourmet vanilla beans, organic vanilla extract, organic chocolate extract, almond extract, vanilla paste, and some fun baking supplies to whip of your next batch of goodies with! 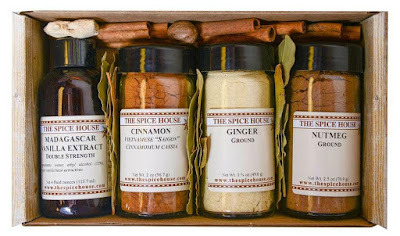 Rodelle believes ingredients makes all the difference, that’s why they are passionate about offering a complete line of superior baking ingredients, vanilla products, and gourmet spice blends. Quality vanilla extract may cost a little bit more, but the flavors are worth it! Rodelle works with a farmer-owned co-op in Madagascar, Sahanala, to craft a farm-to-table vanilla that benefits the vanilla farmers and their families. Learn more about Rodelle’s vertical integration here. Or, Find out where to buy great Rodelle ingredients near you here. 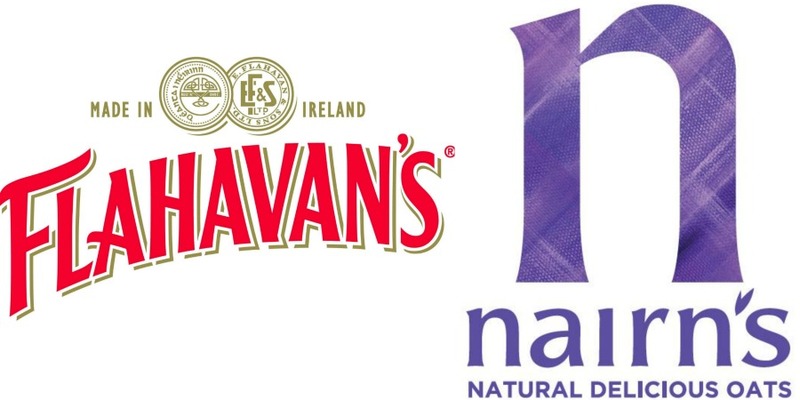 Flahavan’s and Nairn’s have teamed up to bring out an outstanding prize pack filled with naturally creamy, sustainable Flahavan’s Irish Oatmeal and our go-to gluten-free Grahams by Nairn’s. We have a good gut feeling that you’re going to love it! 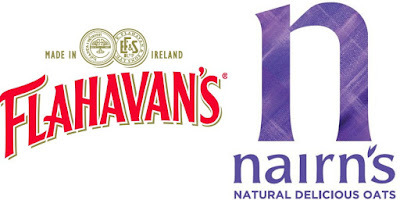 Flahavan’s Irish Oatmeal is sustainably grown and milled in Co. Waterford, Ireland by the Flahavan’s family since 1785. They have sourced the finest oats from the same Irish farming families for generations. Flahavan’s oats are milled in small batches and minimally processed according to 230-year-old milling tradition and double kilned. They are non-GMO and naturally gluten-free. Nairn’s Gluten Free Grahams are rather good in more ways than one. For a start, they’re made with only the finest wholegrain oats- naturally energizing and proven to reduce cholesterol. 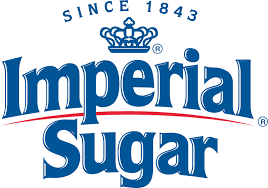 And at only 45 calories a piece, they’re a healthy alternative the usual graham (also 40% less sugar!). But the real feel-good factor comes from knowing every delicious gluten-free bite is batch tested to Elisa standards so they’re truly safe to eat. Season flour with salt and pepper. 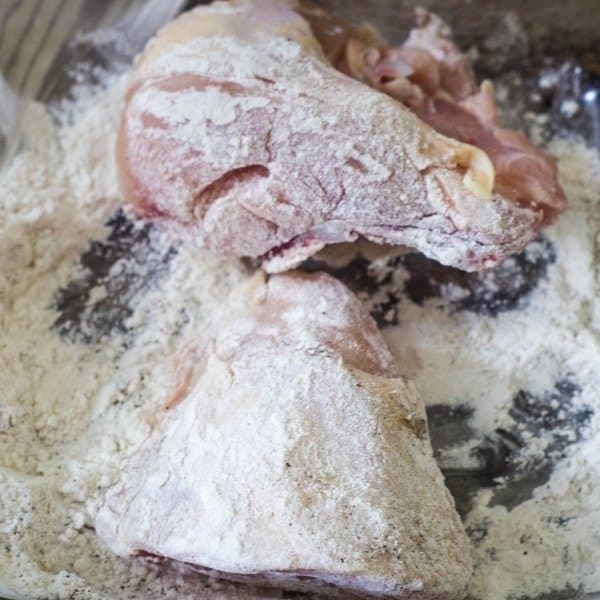 Dredge chicken breasts in seasoned flour. Over medium heat, add olive oil in a large Dutch oven(casserole dish). Brown the chicken breasts. To the pot, add some hard cider and use a wooden s pick up any brown bits and bottom of the pot. Add the potatoes, cabbage, fennel, carrots, apples, parsley, thyme, and rosemary. Place the brown chicken breasts on top of the veggies. Add the remaining hard cider and chicken broth. Place lid on top and braise in the oven for about 1 – 1 1/2 hours. When ready, serve and enjoy! Enjoying Cider Braised Chicken and Cabbage, giving it a 5-star rating and any comments are super helpful for me and very much appreciated! 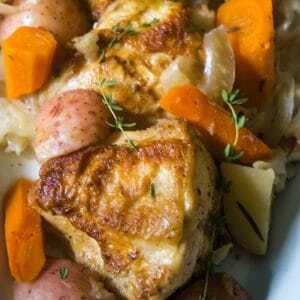 Chicken breasts, cabbage, potatoes, fennel, carrots, and apples braised in hard cider to make a one-pot amazing meal. perfect for a crowd. Easy preparation. In a glass bowl, combine flour, salt, pepper, and onion powder. Dredge the chicken in the flour. Set aside. Over medium heat, place stove/oven safe Dutch oven and add olive oil to heat. Add the chicken pieces to brown on both sides. Remove when brown. Add 1 cup of the hard cider to the pot and use a wooden spoon to loosen any brown pieces at bottom of the pot. Add in the fennel, cabbage, carrots, red potatoes, garlic, thyme, rosemary, parsley, and chicken broth. Season with salt and pepper, to your taste. Place lid on the pot. Braise in the oven about 1 hour 15 minutes. The internal temperature of the chicken should be 165 degrees. 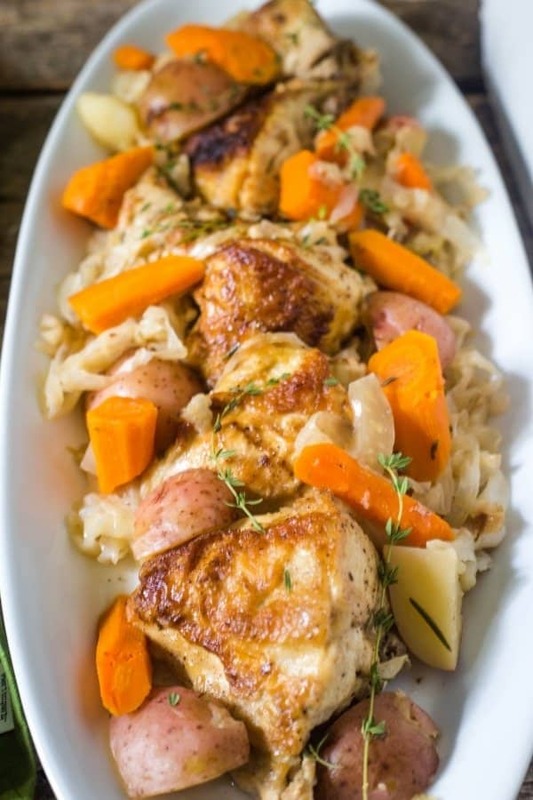 Serve chicken and cabbage with veggies and broth and enjoy! Note 2: I use Magners hard cider. You can use a homemade cider or store-bought, non-alcohol cider. My Granny made an amazing Apple Stack Cake. It’s a Southern thing, lol. Hers were at least 8 thin cake layers with layers of cooked apples between them. It was so time consuming. The apples cooked all day. Each cake layer was rolled out and cooked in a cast iron skillet. Then it was covered and had to sit a day to soak up the flavors. Needless to say, this was a once a year/Christmas cake, lol. Tamra, that sounds absolutely delicious! I love food memories! Your Granny must have been some baker! This is such perfect comfort food for autumn. I am happy you enjoy the chicken and cabbage Sue! I bet that is some delicious chicken, being roasted with the sweet apples. Such a lovely fall dinner. Thank you Liz! 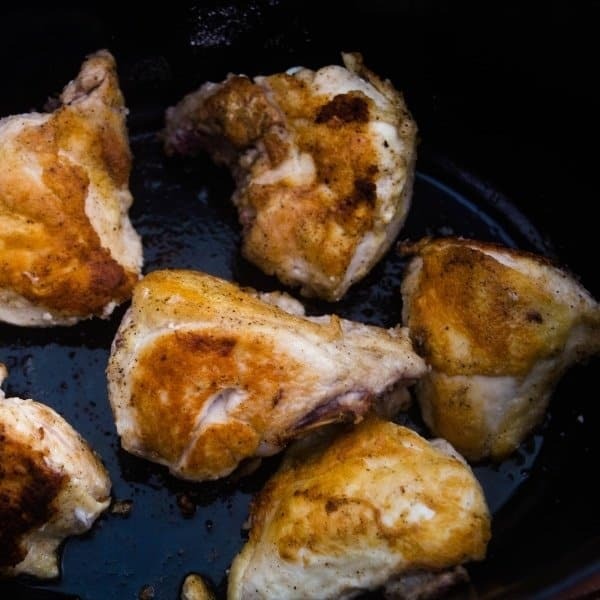 We are loving this chicken recipe! This sounds like such a delicious dish. Love the apple cider flavors in there. 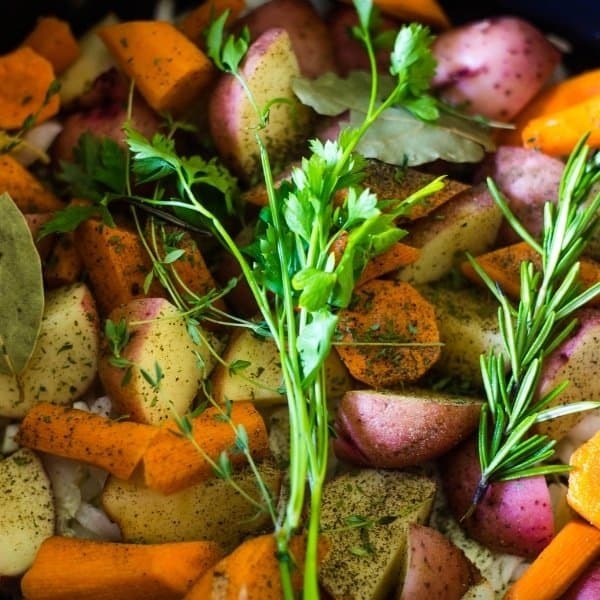 That looks like the perfect fall dinner and what a beautiful pan too! Happy AppleWeek! Thank you Carlee! Love this meal but the pan, oh how I love this pan!